What Valuable Information Is Included in The Pathway Protection Letter? Need Car, Home, Life, or Business insurance in Cincinnati? Call our Cincinnati insurance agency at 513-662-7000 or click here to receive online insurance quotes in all 50 states. What is the The Pathway Protection Letter?™ – How Does It Benefit You? The Pathway Protection Letter contains specific coverage scenarios that describe situations that Cincinnati insurance policyholders may find themselves in that could result in a claim denial. Many individuals that buy insurance only have a vague understanding of what insurance covers, and what it does not cover. Because of this dilemma, a number of years ago we developed the Pathway Protection Letter for our policyholders. Our easy to understand bi-weekly newsletter explains reasons why insurance companies may deny claims based on common scenarios policyholders may find themselves in. 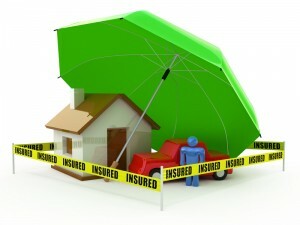 It shows you exactly where to find that information in your insurance policy. Gives you advice on how to avoid the claim denial in the first place. Because insurance policies are often misunderstood, misinterpreted, misapplied and then a claim might potentially be denied. ™ It’s absolutely imperative that policyholders understand their insurance plans more completely. The Pathway Protection Letter™ contains information from a book that will be released at some point in the future by the owner of Pathway Insurance. As an expert within the insurance industry, Jack Thomas has detailed information, expertise, and knowledge never before disclosed to the general public. Jack has worked in the trenches for more than 23 years. As a true insider, Jack makes known pertinent information and facts that some insurance companies may not want you to know about. This ground breaking information contained within The Pathway Protection Letter™ along with his revolutionary new book will forever change the way you buy insurance. Not having an accurate understanding about insurance is like walking through a minefield without protective gear. Doesn’t it make more sense to allow an agency to care for your insurance needs that provides this type of service?